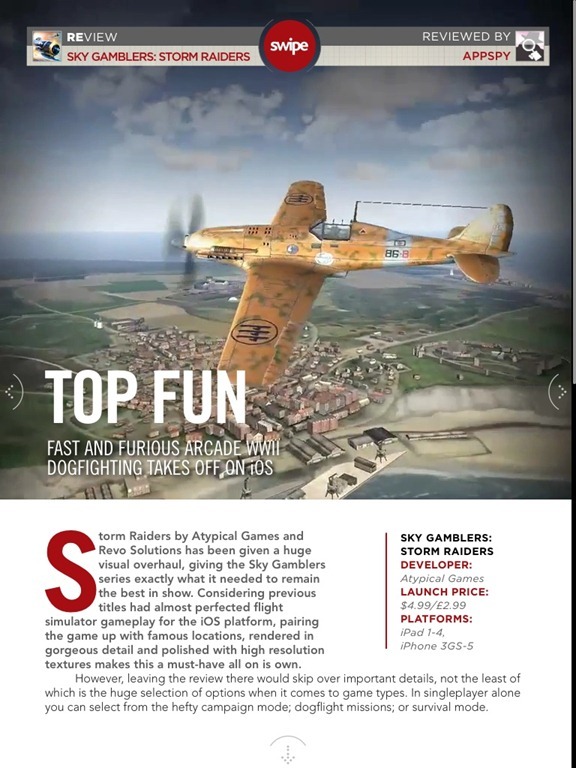 This latest issue is chock full of great iOS game and app reviews on a number of notable recent releases – including one of my big-time favorites, Battle of the Bulge. 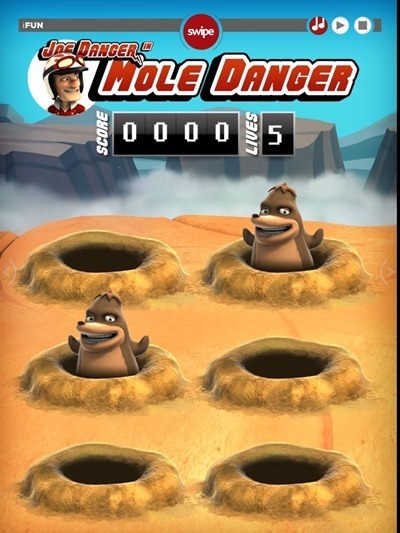 There are also lots of fun, interactive elements throughout the magazine – from the rotating plane on the review page for Sky Gamblers: Storm Raiders shown above to a chance to try out the new Joe Danger in Mole Danger game live on the page. 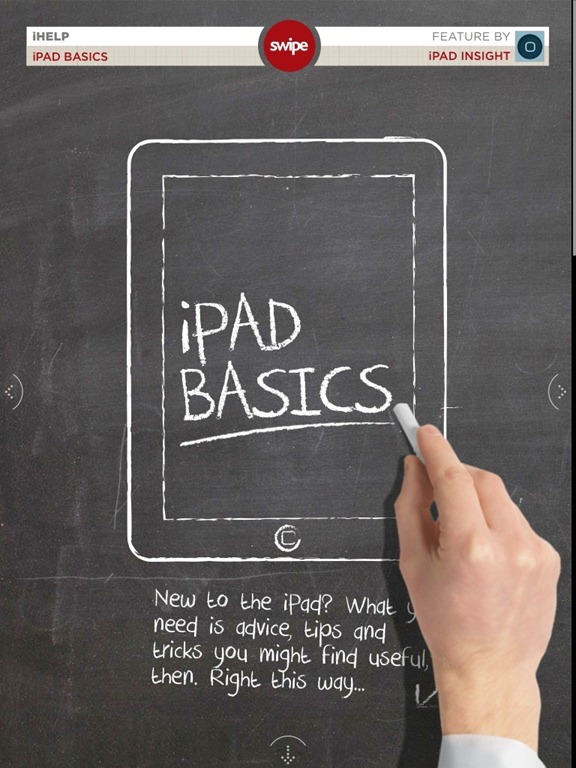 I’ve been a regular writer for swipe since its debut issue and I’ve got several contributions in this latest issue, including the ongoing iPad Basics series. Here’s an App Store link for swipe magazine; it’s a free app.